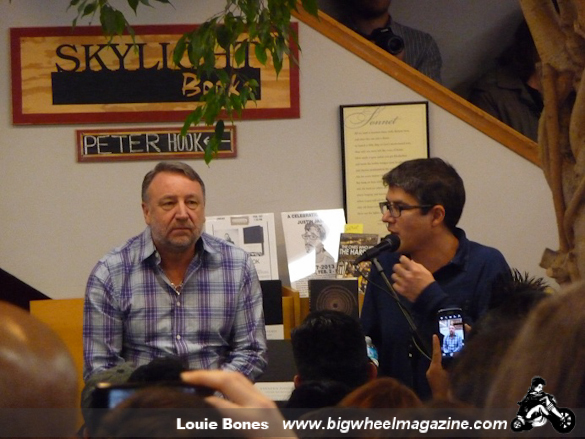 Peter Hook sat down Friday night at Skylight books to discuss his newest writing, “Unknown Pleasures, Inside Joy Division.” He was joined by Simon Reynolds, an expert on all things Post-Punk who accompanied Peter through out the events duration. The start of the event was briefly disrupted by a lighting fixture falling from the ceiling at which Peter jokingly nodded that Ian Curtis was around, it was quite eerie at first but later sort of comical, something the crowd appreciated. Through out the discussion Peter shared perhaps what were his fondest memories during the few years that Joy Division were together to much of the crowds amusement. Fans consisted of old school Joy Division fans to some who were there with their parents and meeting Peter for the first time. Some fans had memorabilia signed by Peter dating back to the 80’s and were getting new editions autographed as well. 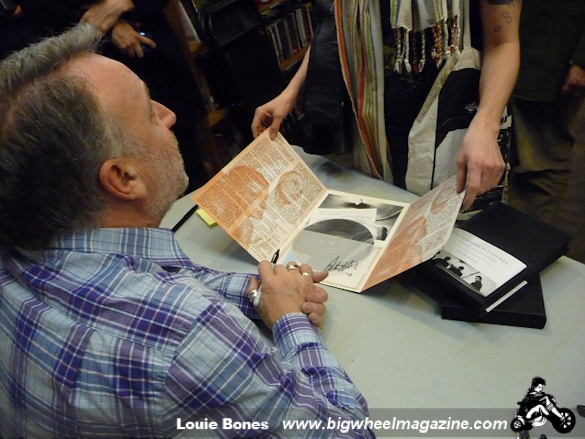 The event served as a fun way for fans and the author to discuss some of their favorite passages in the book and other memories surrounding the band and their legacy, though it was the signing that got the place going wild with pandemonium. More people showed up than what the bookstore could hold so a que of fans remained outside until doors were later opened for them after the early autograph seekers were finished. We took photos of some of our favorite items that were brought and signed. One die hard fan had Peter sign her arm as she was planning to get that tattooed next to her Joy Division and Factory records tattoos. Other favorites were a bass and of course rare out of print records that date back to the late 1970’s. Peter did mention that his band The Light would be back on the road later in the year and playing Los Angeles near September. That is certainly something we look forward to here at Bigwheel as he plans to bring New Order songs to his set, we can’t wait! 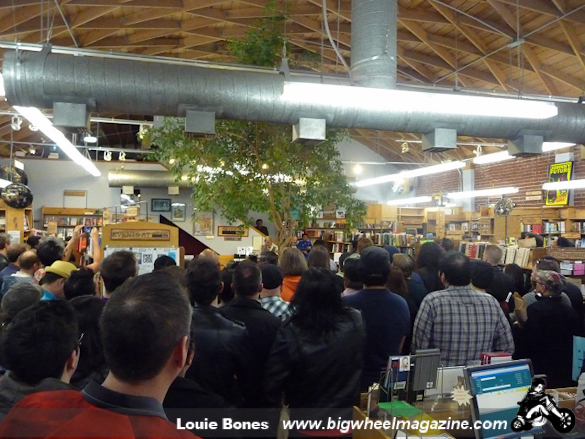 Big thanks to Peter and Skylight book for the fun event!